Started by Ernie Montoya Sr. and his brothers during World War II, the family at BSW Roofing & Solar have been providing homeowners and businesses in the Southern San Joaquin Valley with top quality roofing and waterproofing services for over seven decades. Rick and Ernie Montoya Jr. have run the business since the early 1970's. Their mother, Alyce still handles some of the book keeping which she has done for over 70 years. BSW employs about 50 full time employees. At SLR Roofing we have more than 17 years of work experience. We do it all, Flat roofs, Shakes, Shingles, Tiles, Repairs to installation. Gutters installation, Fascia boards repairs and installation. Fascia and eves painting and much more. In our years of serving homeowners in re-roofing and repairs we continue to maintain an excellent track record of customers satisfaction. SLR Roofing are expert in the roofing industry, and we have the necessary knowledge and experience to solve all your problems. 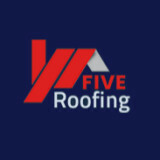 Our objective is to satisfy each customer by completing their roofing project with quality, dedication and integrity. The safety and security of your home and everything inside, is very important to us. While working at the house, we will make sure we leave the place nice and clean when we finish our work. 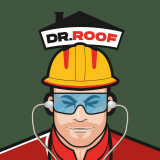 We can repair or replace your roof and have it looking new again. Our ultimate goal is for you to be happy with our work and refer us to your friends and family. 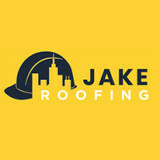 If you need a repair or new roof contact us, we will be happy to give you a free estimate, let us do your next roof. 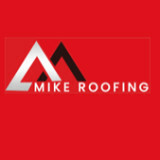 What do roofing companies in Lancaster, CA do? Your Lancaster, CA roofing contractor can install a new roof or repair an old one, as well as repair and replace gutters. Good roofers in Lancaster, CA should be able to promptly inspect roofs and gutters to assess damage after a natural disaster or other event, and give you an estimate for the necessary roof repair immediately. Some Lancaster roofing companies specialize in specific types of roofs, such as tile or metal, so make sure the one you are interested in works with the materials you have or desire. Find a Lancaster roofer on Houzz. 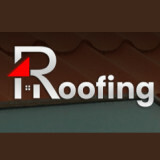 Narrow your search in the Professionals section of the website to roofing companies in Lancaster, CA. If you’re planning a large-scale project, find other professionals on Houzz who can help get the job done. Here are some related professionals and vendors to complement the work of roofing & gutters: General Contractors, Specialty Contractors, Siding & Exteriors, Door Sales & Installation, Garage Door Sales & Installation.